When you choose LeverPoint for outsourced Fund Administration, you gain superior value without limitation. 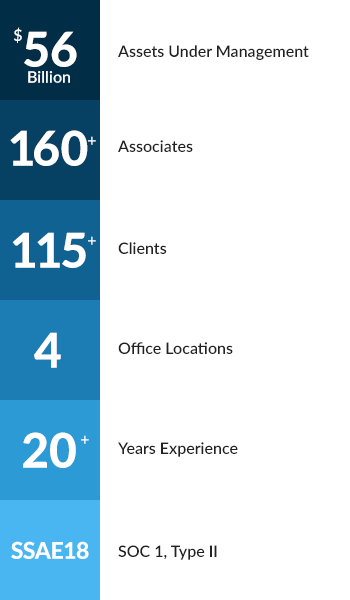 The commitment to excellence we provide our clients, the long-term partnerships we forge to reach their goals, the customized solutions we offer, and a team of trusted, proven experts we provide to support their success, have allowed LeverPoint to set the standard for the alternative investment industry. There is no limitation to what we can achieve together. LeverPoint is a boutique Fund Administrator dedicated to providing a complete spectrum of services to our Private Equity and Venture Capital clients. Our service model includes critical features that differentiate is from other administrators in the industry. Based on our continued growth and success, we have developed the foundation necessary for a successful third-party administrator to provide operational excellence to clients and their investors, allowing them to effectively grow and monitor the optimal performance of their business. Whether you’re looking to outsource a new Fund, or considering transitioning older Funds, LeverPoint can serve as a seamless extension of your firm – a partner in your growth. We utilize industry best practices and timely insights to efficiently streamline and process data and Limited Partner reporting. At LeverPoint, you will not only receive the customized back-office solutions you need to become more efficient, but you will be placed with a dedicated team who will work diligently to accomplish your every request without limitations. Our commitment to the highest ethical standards, strict quality controls, and implementation of best practices builds a solid foundation for superior service, industry integrity and client trust. This foundation mitigates risk and increases efficiencies, allowing Fund Managers to focus their full efforts on growth and producing returns. LeverPoint has many long standing trusted relationships with some of the largest firms in the Private Equity industry. We believe in the services we provide and we believe in the firms we represent. The passion we exude for the work delivered to our clients is a testament to our dedication to their success.